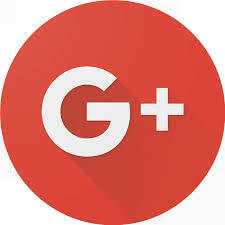 I didn't use Google+ much, so I don't expect it to affect me, but it's a real shame for those who enjoyed it regularly. Hope you don't experience too many issues with Google+ ending! I for one am happy to see Google+ go. It annoyed me no end, so I seldom did anything with it. Now I'm doing battle with Wordpress to do my blog. Maybe I'm just not as clever with tech as I thought. I know what you mean. Everything is always in flux. I did change a few things on how I blog. When people click on my profile picture in the blog comments, it takes them directly to my blogger page where they can select which blog to read. Previously, it went directly to my Google Plus page. Now, I add my posts manually on Google Plus for anyone who wishes to read my stuff there. I'm wondering how it will affect blog visitors, too. Yeah, we're all kind of in the same boat. Hopefully, all goes well. I never did change over to google comments. I stayed with the default blogger comments. I had a feeling... You'll need to swap your link when you leave comments on other people's blogs because at the moment it's still going to your google page--ie, return it back to the blogger profile.